Generally, when someone is looking to transfer files from tablets or PC to windows phone and vice versa, you will require to use the USB cable provided with your windows phone. Windows phone has come up with the Joikushare app, which will allow the phone users to wirelessly transfer their files and media between tablets, laptops and other phones and also send the same to SmartTVs over WiFi from their phone. The users will just have to make sure that all their devices are connected over the same WiFi network. They will be able to use their favorite web browser to share their media and files conveniently. This app will also allow the sharing phone of the user’s to connect with their friends’ devices. The app offers total security in terms of sharing and transferring of files from Windows phone files to any other devices over WiFi. 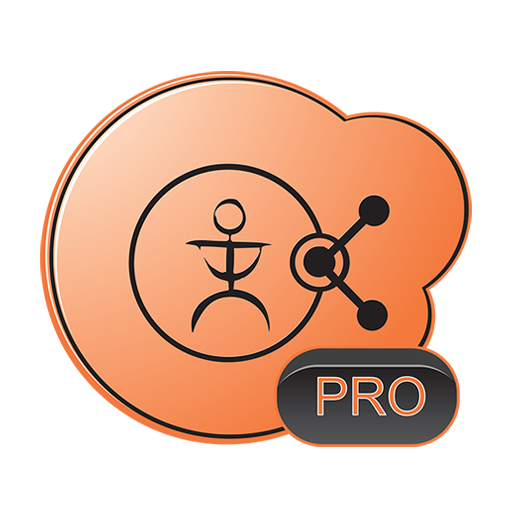 The user’s will be able to upload their files from their laptop to their phone with the help of their web browser. The phone user’s will able to download their phone files with the help of their favorite web browser. With the same WiFi network, the user’s will be able to share files to multiple devices. QR-Code has been provided for the administrator and fast friend access. The user will have the option of selecting either single or multiple files for transferring the same to different devices. First of all, you need to make sure that your device is connected to a local WiFi network. You can also use the hone WiFi hotspot for accessing the WiFi connection. Then you will have to connect all your devices to the same WiFi connection. 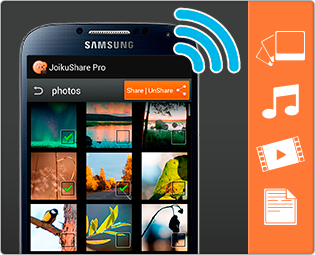 Click and open the JoikuShare app and then click on “Start WiFi-Share”. The user will be able to select the files from the phone and share the same with another device. The same can be viewed under “Shared Files”. User’s can also connect other devices through the same WiFi connection with the help of their browsers, who link has been given in the JoikuShare main view. Now the user will be able to download phone media and files of connected laptops, tablets, other phones and SmartTVs through this web browser. A user will the Administrators access, will be able to manage, access and download all phone files, but the friends will be only able to view and download the contents that has been marked shared by the Administrators.The app developers have added a security feature, which makes the friends password specific to the sharing session. Once the file sharing has been completed, the user will have to tap on the stop WiFi share option to stop the sharing. So now, sharing files is no longer limited to USB cables and Bluetooth. User’s will have an additional option and probably the best one to share unlimited files.